2018. A guy asks on Facebook: what are typical SaaS startup marketing costs? The commenters tell him to think about channels, target audience, write a business plan … Don’t be these guys, that was the bad advice I got 2009. You deserve better. We are living in the future, 2018. In this article I describe how using Google Ads & customer development, you can start marketing your startup in minutes and a few hundred Euros and gather your own facts. Because facts > theory. As I am changing a wristband on my right hand, I also reflect about the bigger picture about me an participatory culture. 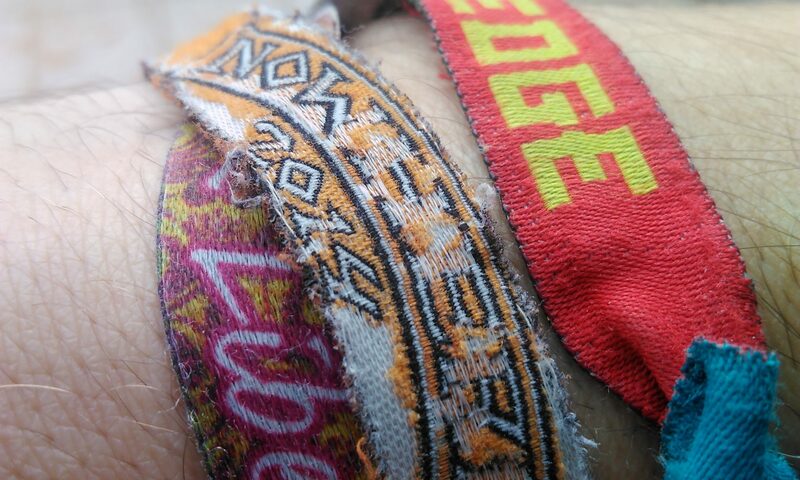 As I am writing these lines, I am still wearing the wristband of the participatory temporary city “Nowhere 2014” on my right hand. As I have been for the last 1632 days since July 5th 2014. I am moving to an “I, Robot 2018” wristband by Severin Taranko. Both remind me that I am part of a global participatory culture where such small things represent and reflect the meaning of everything. What is the inverse of density? As we didn’t have a word, we found “fluffiness” is an appropriate word for the inverse of density. Meine Fettzellen sind meine Batterien, sie speichern Energie in Form von Übergewicht. Wenn ich ein paar Tage oder Wochen nichts esse, also faste, verbrenne ich die Energie und nehme ab. Ich beschreibe hier meine eigene Erfahrung damit, etwa war ich dieses Jahr nach 9 Tagen “wenig Essen” 3kg leichter. Eine einfache Tatsache, aber wenn ich auf Google nach “Abnehmen”, “Fasten”, oder “Gewicht verlieren” suche, finde ich nur Werbung. Darum ein Blogpost in dem ich meine Erfahrung aufschreibe. 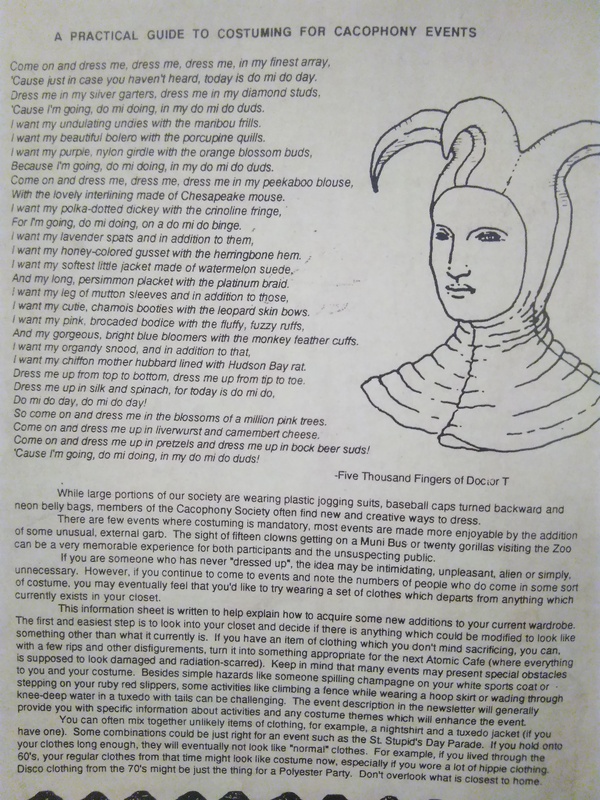 As there is always a next event upcoming, like the Burner events, such as Vienna Burning Ball, here a handy guide for dressing up. Badly photographed from the wonderful “Tales From the San Francisco Cacophony Society“. I wrote a converter to take an export from twoday.net and write it into an XML file that wordpress will read. I won’t support the code, other projects more interesting. Alternative to Microsoft Streets&Trips (AutoRoute)? portatour® ! News: portatour is a Software for route-planning for field sales force / sales reps. It is the future of fully automated sales-route planning for your field sales force, consultants, and service team members. Automatic scheduling can cut up to 25% of your mileage and save CO2, increasing revenue the same time. portatour® plans sales trips within seconds at the push of a button, giving sales reps back valuable time which would otherwise just be left on the road. They can visit more customers, drive fewer miles. Hier noch mehr Informationen zu portatour – der Software für Tourenplanung und Routenoptimierung im Außendienst. Ich arbeite für portatour, habe letztens über die Mathematischen Herausforderungen der Software geschrieben. I finally achieved perfect barbecuing – or at least I am close enough to share my setup. The essential part is: make two fireplaces, one with blazing fire and the other driven by embers taken with an iron shovel from the first. Other things in the picture are sugar-on-top.